Montague Island has some of the best snorkelling and dive sites on the Eastern Coast due to its abundance of marine life, including the largest seal colony in NSW, sea turtles, dolphins, and array of different types of fish. Get up close and personal with the playful seals and see a vast range of marine mammal in their natural environment. Montague Island Adventures provideds everything you need for snorkelling with the seals at Montague Island, including wetsuit, fins, mask & snorkel. Its the perfect addition to a Montague Island Tour! Whilst Snorkelling with the Seals at Montague Island, keep an eye out for dolphins, whales, penguins and other wildlife along the 20 minute trip to Montague Island. Visit the seal colony, and whilst we anchor up in the calm bay, snorkel with the playful seals. Seals basking at Montague Island, Narooma Tours. Departs: Daily from Town Wharf, Bluewater Drive, Narooma (Look for the yellow flag). Refreshments are included. Tea, coffee, soft drink, water and afternoon tea. 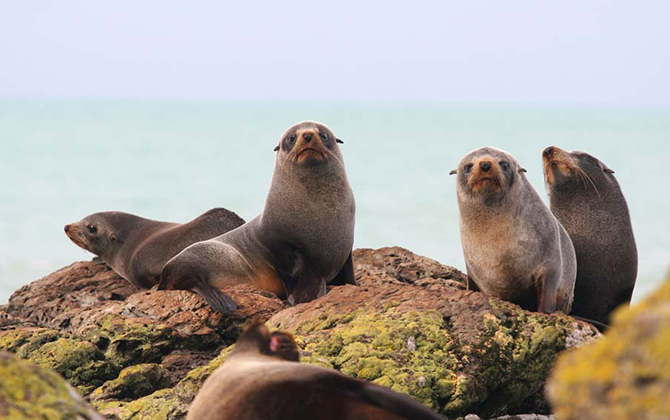 This tour does not include landing on Montague Island, but you do have the option to incorporate a Montague Island Tour with Snorkelling with the Seals, you only need to pay an extra $25 on top of your Montague Island Tour price to snorkel. Evening Montague Island Penguin Tour & Snorkel with the Seals.